First you need install ModSecurity to CentOS Web Panel. 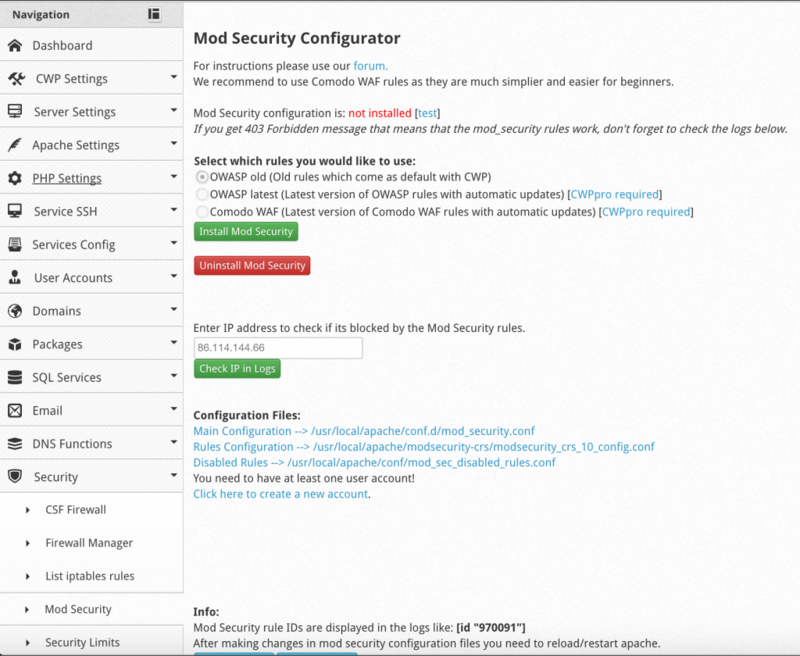 Just select default settings and install ModSecurity, because there is not custom selection for rules. 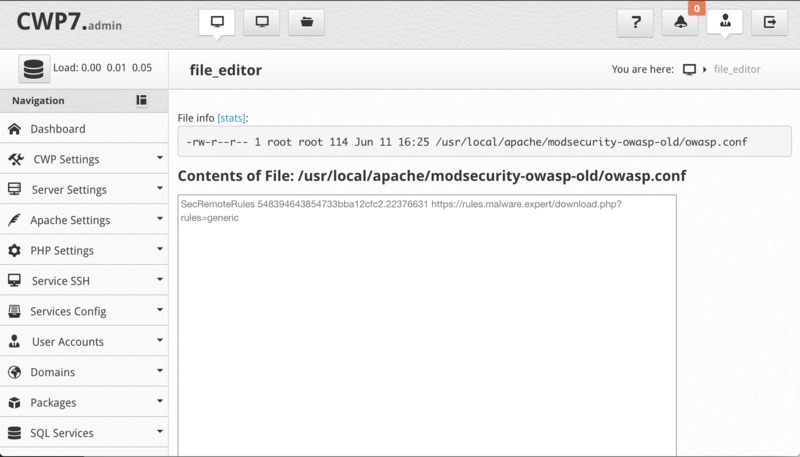 Now edit Rules Configuration file /usr/local/apache/modsecurity-owasp-old/owasp.conf. Just delete all lines current configuration. Final restart apache and check apache error_log that rules loaded.